If I Ruled The World… Every Day Would Be Halloween, The 4th Of July, And Shark Week. My mind is rather akin to that of a child’s, and therefore I like to imagine impossible scenarios that usually involve me as a super-famous rock star/actress/writer or as dictator of the world. I would be an excellent dictator, just so you know, and you would all love me. There are quite a few things I’d do as Dictator of the World. Like eliminate almost all taxes, for example. I’d cut the government down to nothing and do this whole private-sector-rate-deduction-and-hiring-incentive-thing that I don’t feel like explaining right now. Also, I’d make it so that you could buy beer and liquor at every single proprietor, and make parking tickets illegal. Ronald Reagan would be brought back to life and serve as my Vice President. Morgan Freeman would be Secretary of State because he could convince anybody anything just by talking (also he might be God). Curtis “50 Cent” Jackson would be Secretary of Treasury since he knows how to get that skrilla. Jason Statham would be Secretary of Defense and Homeland Security because he could definitely kick everyone’s asses BY HIMSELF. Anything else is to be determined. Things would be changed, but the Shark Week thing is forreal. Also, I wouldn’t let the NSA creep on anyone, so you’re welcome in advance. I’m ready to bow down and swear allegiance to you already. I would also like help Mr. David with nonsensical rules and stuff. And thanks for the no taxes things. That is a bunch of crap. Oh and thanks for a good idea for a post that I may do someday. Totally, man, no problemo. In fact, if (when) I become Supreme Leader I’ll hire you with Larry David and possibly start a Blogging Task-Force you can lead or whatever. 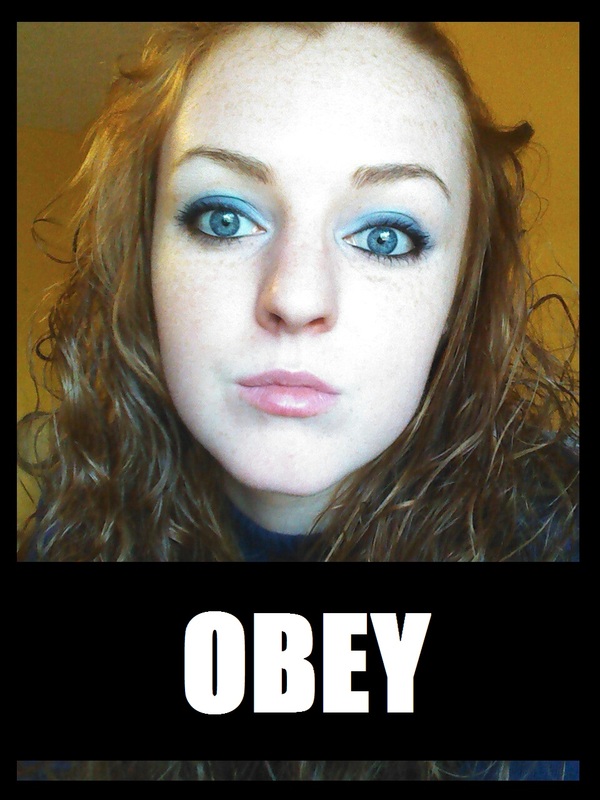 But I definitely just realized that my “Obey” picture is way too big when it’s on the computer. I freaked myself out for a second. YES for parking ticket illegality! Parking enforcement is one of the ABSOLUTE DUMBEST things a modern society has ever developed. It’s an open space that you are now monitoring and citing people for – great job you large child. Seriously. No, not you, silly. The people who came up with parking enforcement = large child. Yeesh, you don’t apply to the cabinet of dictators like that – whew! That’s my bad, I totally read that wrong. I’ve been drinking so things tend to get messed up. 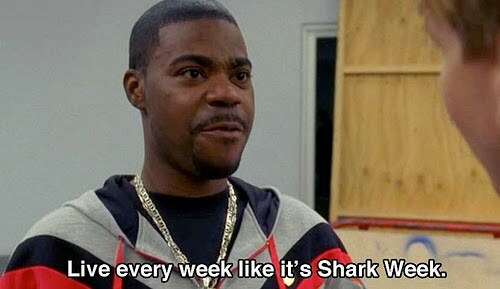 shark week every week? Yes please. 100% correct about Morgan Freeman. The man gives me goosebumps. Haha, I know. If he said jumping off a bridge was a good idea, I’d be like, “Yeah… it must be!” and head to the nearest bridge. Previous Previous post: Stupid Reasons Why Life Is Interfering With My Blog. Next Next post: In A George-Carlin-Kinda-Mood, So Ya Know… Preparing For Death.